Paisley First's five week Christmas spectacular, WinterFest is returning to the streets of Paisley town centre this festive season! To get you in the festive mood, we will be open daily from 10am until 10pm from 24th of November through until 30th of December. We’ll give Santa and his reindeer a day off on Christmas Day but you can be sure of a jolly welcome throughout the winter. What is better to do at Christmas time than go for a skate on an open air ice rink, come along to skate day and night with family and friends at Paisley's magical ice rink. Be sure to get your winter woolies on and grab the rest of the family to embrace the festivities on offer at Paisleys First Winterfest! Our rides are perfect for all ages. There will also be a full Christmas market with crafts and gifts to buy for your loved ones. Why not treat yourself or the kids to a crepe or some indulgent hot chocolate at the Nutella House. We’ve got lunch covered too with delicious hot snacks including festive German Sausages. If you’re planning a night out, why not start your evening at the winter bar? Our wide range of drinks run from hot to cold with delicious Gluhwein, Hot Cider or mulled wine. Alternatively try our Prosecco by the glass, Gin, Beer and much more. Pick your table by our ice rink and relax with friends and family. 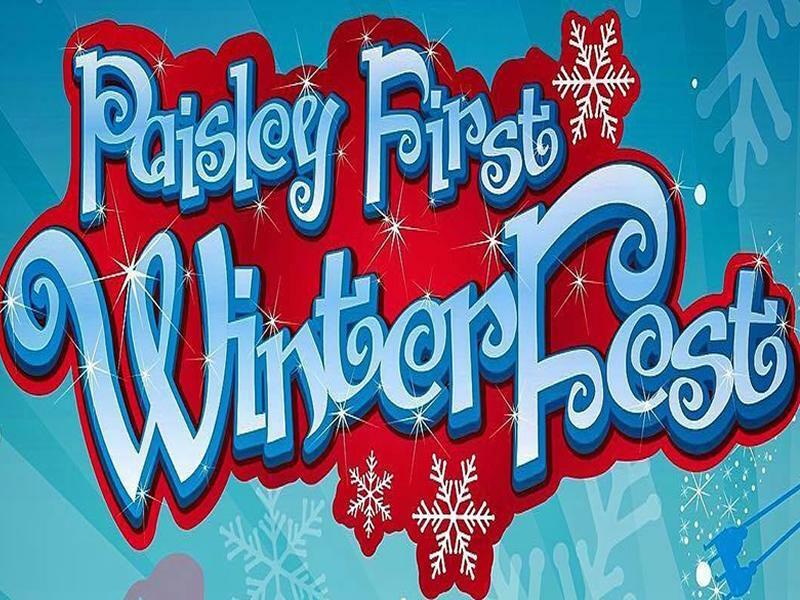 Paisleys First Winterfest at Paisley Town Centre – join us from November 24th to celebrate this most wonderful time of the year! While we take every opportunity to ensure the details for Paisley First WinterFest are accurate, we always advise that you contact the event organiser before setting out for the event to avoid disapointment.